Do You Need Gum Grafts? Gum disease and other factors may cause your gums to recede, hurting both the health and esthetics of your smile. However, the doctor can provide treatment for this issue, preventing gum disease from reaching an advanced stage and improving the beauty of your smile. Do you need gum grafts? How does this unique oral procedure work? Question: Why do our gums recede? 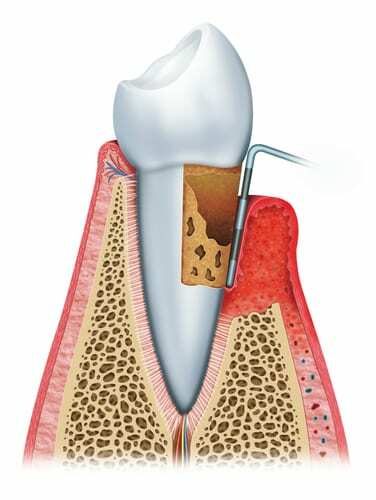 Answer: Multiple factors can lead to gum recession. Even brushing your teeth too forcefully or using a hard bristled brush can lead to recession. 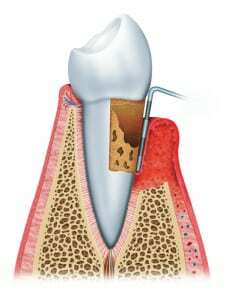 Another common causes is gum disease. Over time, the disease can cause the connective tissue between your teeth and gums to dissolve. The gingival tissue then pulls away from the teeth and recedes. Question: What happens if I don’t treat the problem? Answer: Without treatment, the teeth may become loose and can even fall out. Adult tooth loss occurs when the periodontal issues have reached a stage known as periodontitis. To keep your smile whole you should have your recession treated by a periodontist. Question: How do pinhole gum grafts work? Answer: The procedure involves making a tiny hole in the gum tissue. From there, the doctor inserts a biocompatible collagen material and manipulates the gingival tissue. The non-infected tissue can attach to the teeth, closing periodontal pockets, and the recession can be addressed, improving the health and appearance of the smile. Question: Will the procedure be comfortable? Answer: The treatment may be more comfortable than conventional surgery because it doesn’t require incisions or sutures. The appearance of the smile is improved almost right away and the risk of gum disease decreases. The healing period is often quicker when compared to other oral surgical procedures.